How Solar EPC Contractors Can Help You to Realize Your Go Solar Dreams? How Solar EPC Contractors Can Help You to Realize Your “Go Solar” Dreams? Procuring a solar installation is your long-cherished dream. Not only do you want to generate clean and green energy, but also minimize your carbon footprint and add your bit towards a more sustainable and environment friendly surrounding. In a country like India that receives sunlight in abundance, solar energy is a viable choice. When you have made your mind to tread upon the solar path, some questions are obvious to arise in your mind, like how do I do it? And who’s going to help me? Solar EPC contractors can answer the first question, and for the second, well, they themselves are the answer. Keeping all these factors in perspective, let us now look at how professional solar EPC contractors in India can help you to realize your go solar dreams. 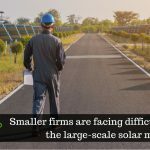 In the past decade or so, there has been a consequential growth of solar installation industry to accommodate residential, commercial and industrial operations. Along with government aid, private players have also taken activities related to solar installations. Engineering, Procurement, and Construction (EPC) in the solar energy sphere is a contracting arrangement according to which the EPC contractor is responsible for all the installation activities from design, procurement, construction, to commissioning and handover of the project to the asset-owner. Why Should You Take the EPC Route? An investor or asset owner might have limited knowledge regarding the installation of the solar plant. In such a case, taking the EPC route is the best option. With one contract in place, a competent firm takes responsibility of your project ultimately taking less of your time. Why opt for Professional EPC Contractors? When it comes to develop your solar system, solar projects encompass a wide range of components. There are many options available for each component in terms of quality and cost. A professional EPC partner has in place an exhaustive list of supplies and services right from solar panels to connectors. This will make sure your plant has a long, prosperous life. A solar partner who hands over contracts only in terms of solar capacity, without any information about number, capacity and make of solar modules, inverters, etc. can jeopardize your solar EPC efforts. On the other hand, a professional EPC partner takes into consideration the quality aspects of each process in the EPC service. Amongst several solar EPC providers, a professional will build the best solution by incorporating substantial aspects in the EPC process. When you decide to harness solar energy, you deserve the best solution from a professional solar EPC partner. What they Promise is What They Offer? A professional EPC partner will guarantee a specified amount of electricity generation. And the contract devised by them will successfully cover it. Now solar energy is based on the sun, and sunrays cannot be guaranteed by anyone. Devising a Performance Ratio, a professional EPC partner typically guarantees a minimum amount of electricity is guaranteed when the sun is not shining. The overall EPC activities have terms and conditions associated with them. The payment amount can become dicey if proper attention to taxation, returns, and exclusions is not paid properly. Due to hidden exclusions or confusing clauses in the EPC contract, like unloading of equipment, documentation and fees for statutory clearances, one needs to be beware of the additional costs. A professional EPC partner is one who makes everything transparent and all-inclusive. Professional EPC contractors can offer high quality solar solutions by keeping into consideration the quality aspect of each process and the overall activities. To realize your dreams of going solar and to ensure a long, prosperous life for your solar plant, it is imperative to take the EPC route for solar installations. 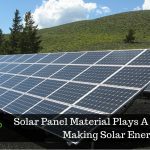 SaveGeo – a well-known solar EPC company based in India, assures your turnkey end-to-end solar power solution at every stage of the solar process. 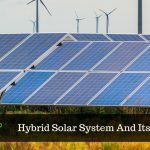 From the analysis, design, and engineering to implementation, financing, and long-term service and maintenance; their customer-centric engagement model with technical expertise offers the best in class customized end-to-end solar power solution.